Eric will meet with students by appointment between 10:00-2:00 PM. Scheduling an appointment via the "registration required" link works best, but you can also drop in if he is not meeting with someone. 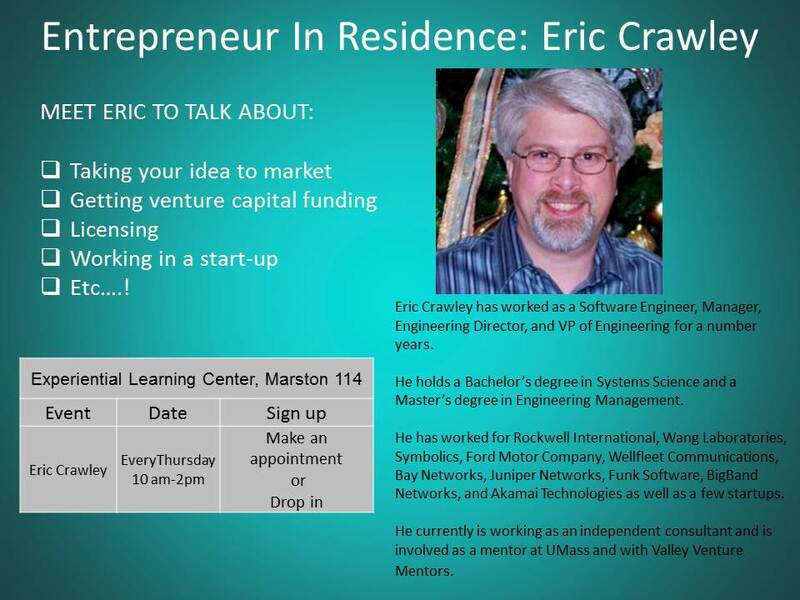 Eric is happy to talk about how to take to your idea to market, how to get venture capital funding, licensing, or what to do if you want to work in the start-up environment, etc. All questions welcomed.